LEDtronics helped grace the iconic Sunway Pyramid with an equally impressive LED Digital Billboard of their own. 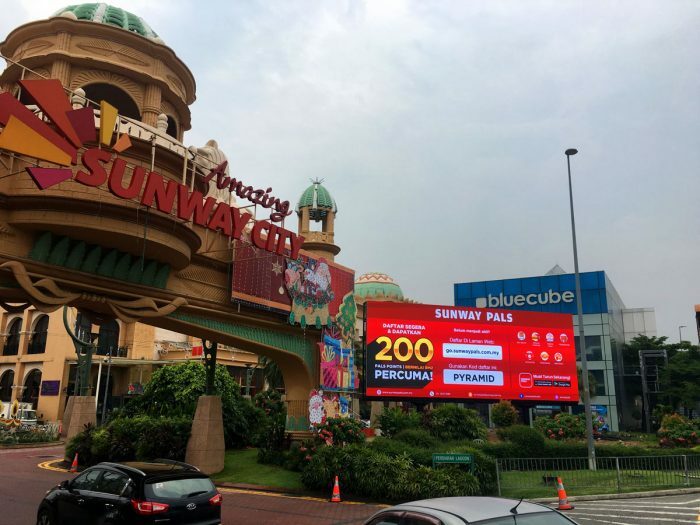 We worked together with Sunway to attain approval , as well as made sure it met all the traffic safety requirements designated by the local council. We also had to make sure not to damage any underground piping as well as cabling on the land. 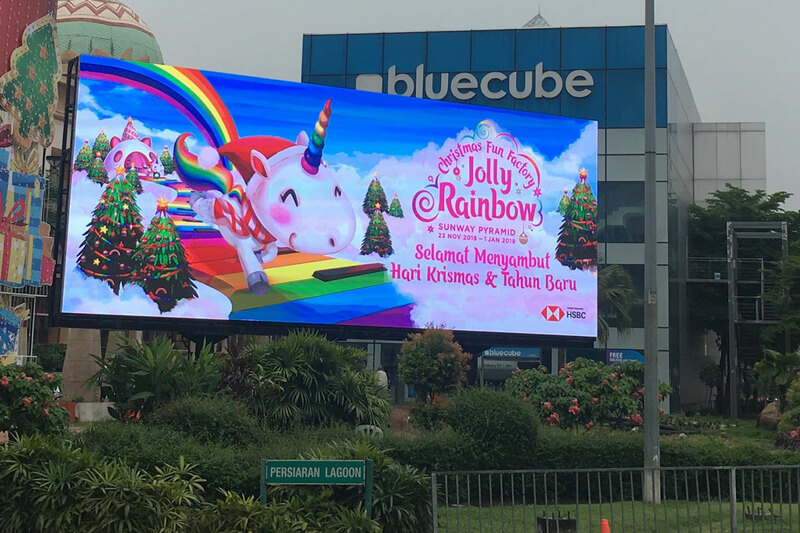 The challenges faced had been worth it, as we’re proud of the spectacular Digital Billboard that we’ve constructed. 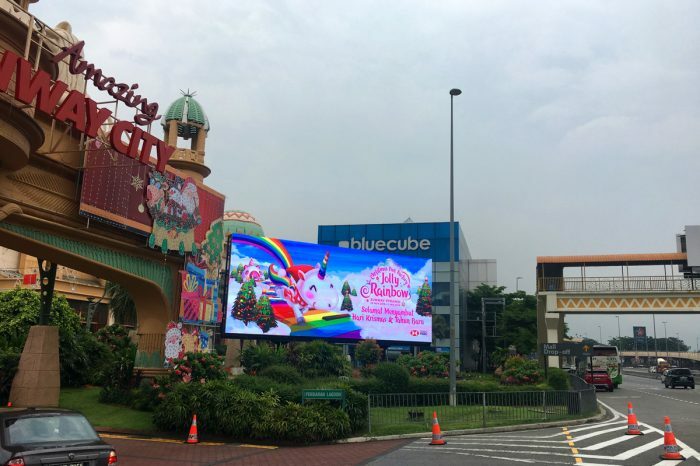 Facing a consistently packed entrance towards Sunway City, it is located at a strategic location and able to capture the attentions of oncoming traffic. 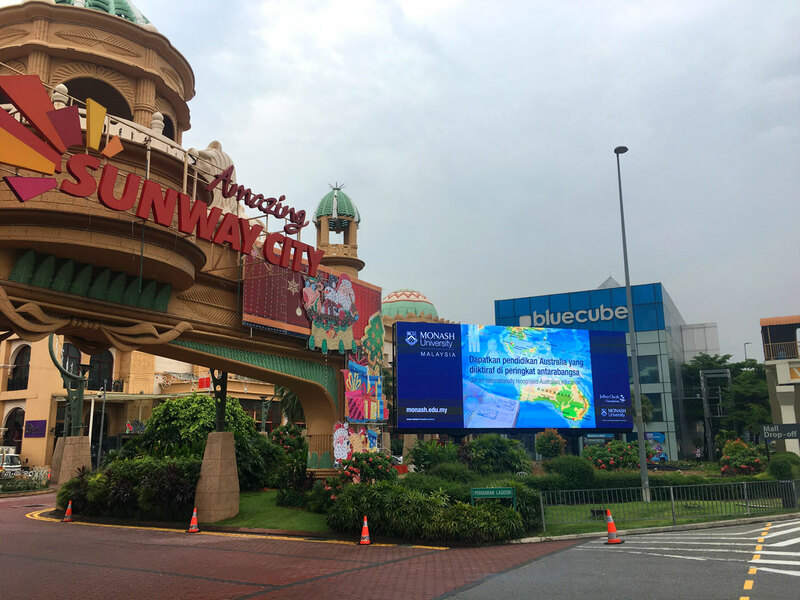 We are confident it will be an invaluable platform used to market and promote Sunway’s products and properties.